I’ll be honest, I picked up this movie to watch soley for two of their actresses – Anna Kendrick & Anna Camp. Both of whom I like a lot – Kendrick is so tiny & cute, I could just eat her up & Camp is a hot belle! I had seen a bit of the beginning of this film on tv a few weeks back and then decided to give it a try later. Pitch Perfect is a 2012 American musical comedy film directed by Jason Moore. 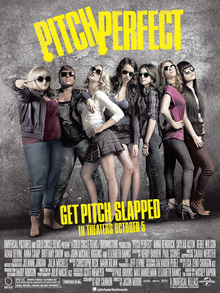 Featuring an ensemble cast, including Anna Kendrick, Skylar Astin, Rebel Wilson, Anna Camp, Brittany Snow, Ester Dean, Alexis Knapp, Hana Mae Lee, Adam DeVine, with John Michael Higgins, and Elizabeth Banks, the plot follows a college women’s a cappella group that competes against an all male rival group from their same college to go to the nationals. Barden University’s all female a capella group the Barden Bellas performs well in the nationals until Audrey, their defactor leader) projectile vomits during her solo as she tends to do when under pressure. She and the group are humiliated and lost all chances of winning the competition It’s 4 months later and freshman Beca, a budding music producer, is reluctantly joining college under orders from her father, who is also a professor at Barden. He makes her attend classes for a year; if she still thinks it won’t work, she can go to LA to pursue her producer dreams with his blessing. But he wants his aloof daughter to also join a club and have the full college experience. Beca attends the fair for freshman and the recruiting for the various clubs, which also includes the popular all male a capella group The Treblemakers (seriously the way those guys pose and sing, I wanted to slap them!). After much persuasion from co-founder Chloe, who likes Beca’s singing, our wannabe producer (who really just mish mashes songs that have similar beats) has Beca join along with a motley crue of other freshmen Cynthia-Rose, Stacie Conrad, Lilly Onakuramara, and Fat Amy. Meanwhile Beca also joins to work shifts at the campus radio station where fellow freshman Jesse, a new recruit for the Treblemakers, is also interning. He takes an instant liking to her and they become friends. Under Aubrey’s strict tutelage and choreography, the Bellas rehearse the same medley of songs that got them to the finals last year but it is apparent to almost everyone that it has gotten stale, which goes the same for their tight air-line stewardess style suits as their costumes. Despite that they place second in their state which means they get to go the semi-finals. A brief mock fight between an older group and the Treblemakers ensues after the competition which ends with some property being damaged and Beca is the only one caught and taken to the station. Her father is furious at her and tells her that he will no longer fund her trip to LA and Beca is upset and lashes out at Jesse who tries to stand up for her. Later at rehearsals Beca tries to get the group to be more adventurous and although the others seem receptive, Aubrey puts an end to it. At the semis they perform the same medley, which even gets the announcers yawning, when Beca improvises in between. This throws some of the girls for a loop and Aubrey berates Beca who ends up leaving the group. The Bellas come in third in the competition behind the Treblemakers and the Footnotes. When the Footnotes are later disqualified from the national competition because the lead singer was in high school, the Bellas are called to take part instead. The Bellas reform after spring break, with the notable exception of Beca. During rehearsals, Chloe stands up against Aubrey’s stubbornness. The group starts to fall apart, which sparks a fight. Beca tries to makes up with Jesse but he declines as his feelings were hurt. Beca goes back to the Bellas and apologizes and they hash it out after some hilarious stuff! More receptive to changing things up, Aubrey asks Beca to lead them and they rehearse some newer material. 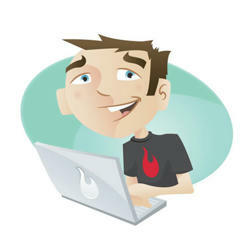 Meanwhile, group leader Bumper leaves the Treblemakers after being offered a job as a back-up singer for John Mayer. With Bumper gone, Jesse persuades the Trebles to let his previously-rejected roommate Benji join the group in Bumper’s place. At the finals, after the Treblemakers wows the crowd, the Bellas come on stage in different outfits and a different medley which includes a song from Jesse’s favourite movie and he is thrilled. The Bellas end up winning and Jesse & Beca kiss at the end of the competition. Now, this is a fun film with some hilarious stuff here and there. I do not like this vocal only style of music (it’s not really music) with guys straying and staying in boyband zone and really silly rap & hip-hop stuff with vocal beats, sounds effects and beat boxing. I usually stay away from that stuff but in this music it works. School Of Rock it is not but it has it’s moments, 7 outta 10!